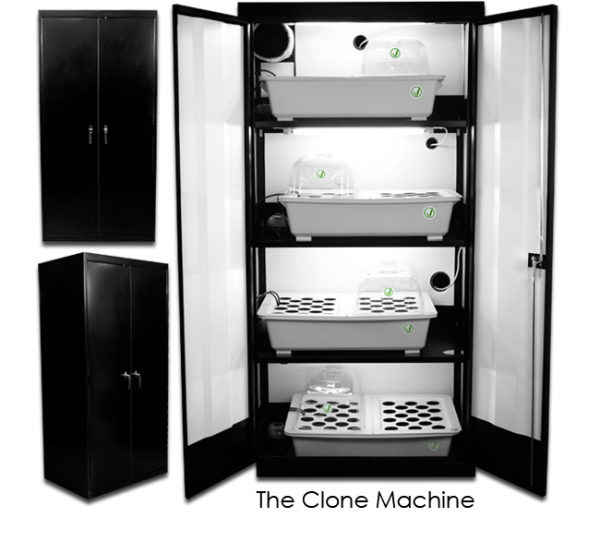 The Clone Machine Grow Cabinet hydroponic Cloner is the premier automated germination and cloning cabinet that expertly handles all of your early growing needs. 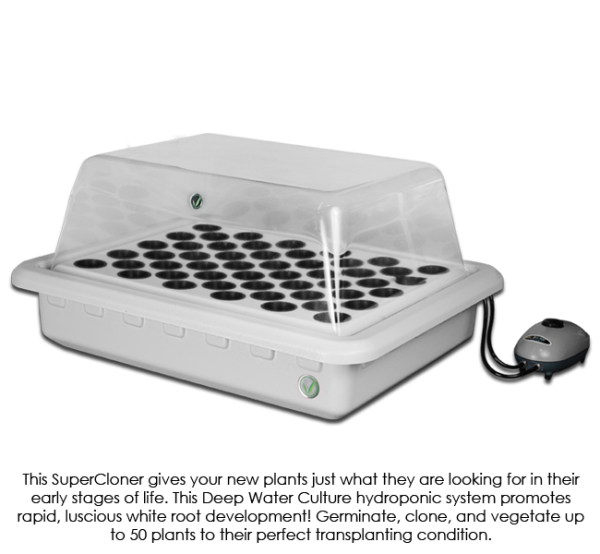 Measuring 36” wide x 24” deep x 72”h, you can germinate and/or root up to 200 clones at one time in this hydroponic cloner. 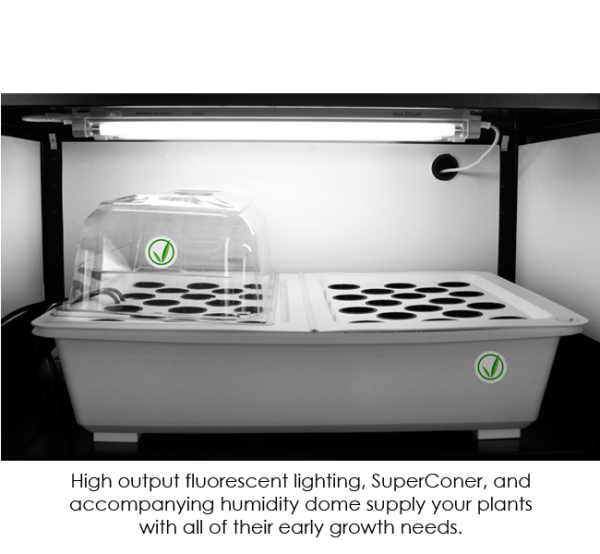 With four of our patented SuperCloner 50 hydroponic cloning systems (each powered by two high output fluorescent lights), you will germinate, sprout, and root your clones in as little as 5 days. 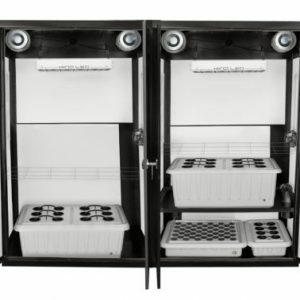 Your Clone Machine hydroponic cloner comes with an Industrial Grade Carbon Filter to scrub the air clean, an adjustable internal circulation fan, as well as plastic domes for perfect humidity control. 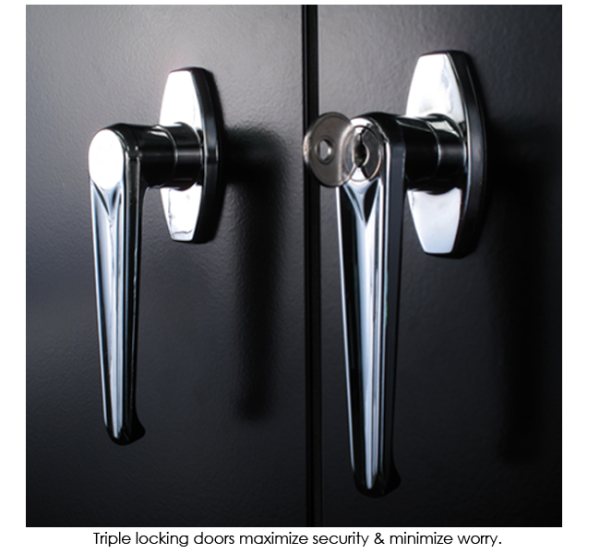 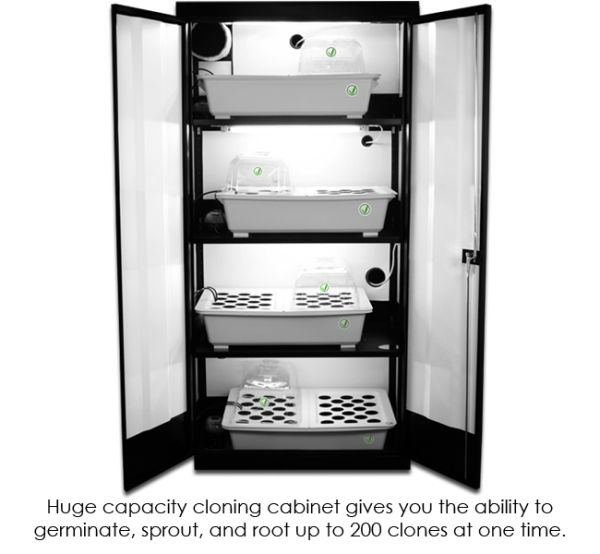 The adjustable shelves allow you to manipulate the size of each chamber to suit your preference. 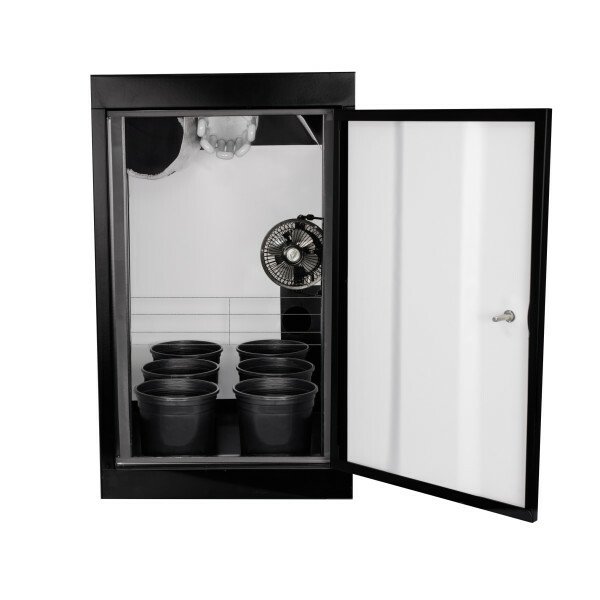 Rather than just having one or two mother plants, you can now have as many as you need, as there are more than enough plant sites to mix and match to your desire. 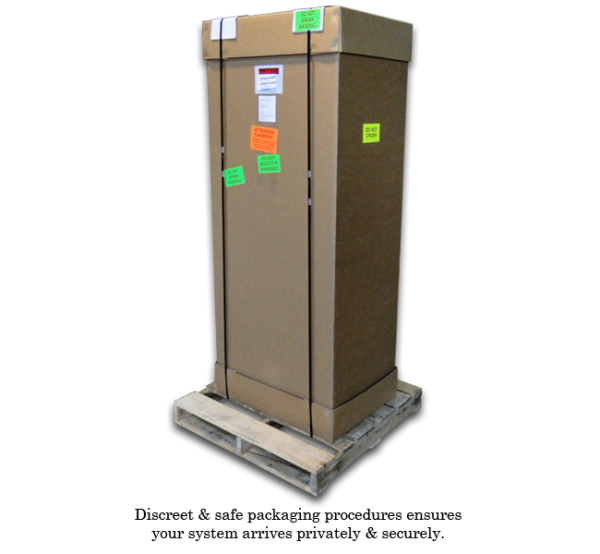 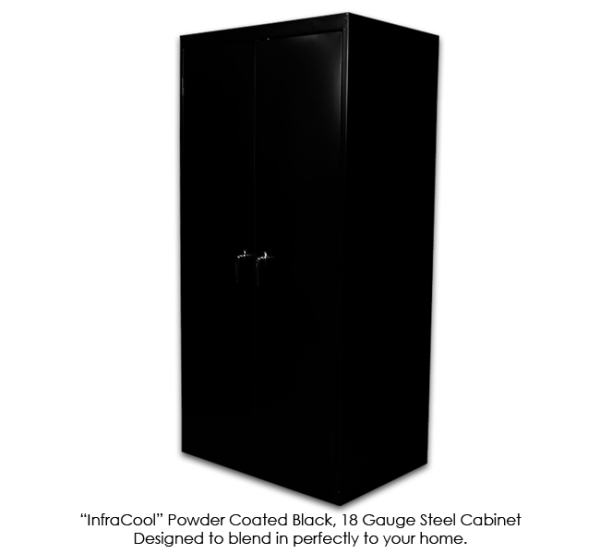 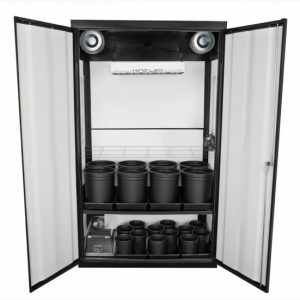 Your Clone Machine hydroponic cloner comes fully assembled, fully automated, and completely contained in the SuperCloset high quality 16~18 gauge, triple locking, black powder coated steel cabinet that fits in anywhere. 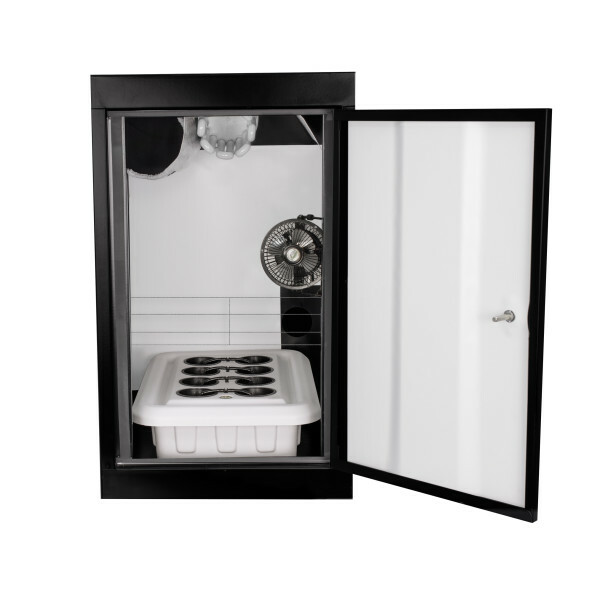 This easy to follow instructional DVD will show you step by step how to correctly set up your Super Cloner and prepare you to get growing the day it arrives!